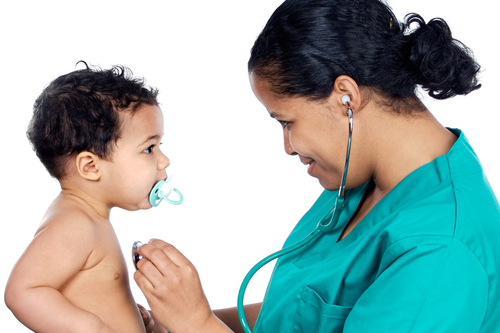 The nurses employed by the practice provide a wide range of caring and preventative services. They run clinics for asthma, diabetes, hypertension, vascular disease (encompassing Ischaemic Heart Disease and Stroke), well woman clinics, family planning, immunisations and minor surgery. As well as the clinics our practice nurses provide a wide variety of services including dressings, injections, and travel advice/immunisations. An appointment system is in operation. Nurse Practitioners see patients with many of the less serious illnesses traditionally dealt with by GPs, such as coughs, colds, sore throats, urine infections and some simple, uncomplicated skin complaints. Our previous Nurse Practitioner, Rachel Hall, also saw patients in our Asthma, COPD, Diabetes and Warfarin initiation clinics. She also undertook Care Home Reviews. However, in May 2016, Rachel returned to work in the locality where she was brought up. Her depature means that we currently have no Nurse Practitioner. On a positive note, two of our nurses will undertake training for this role, but it will take several months for them to be able to undertake the full spectrum of NP consultations (May 2016). 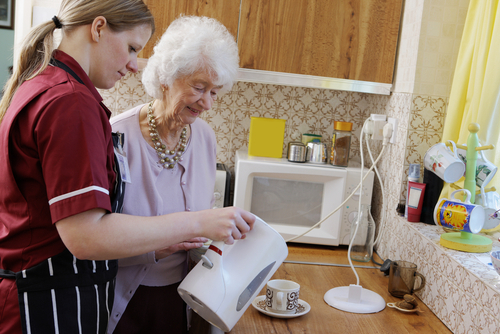 Healthcare Assistants assist with many duties traditionally performed by the practice nurses e.g. blood pressure checks, ECGs, chaperoning and in-house INR checks for those suitable patients. They also perform new patient medicals. Detailed information can be found in our Childhood Vaccination page, on the NHS Vaccination Schedule website and our Travel Vaccinations page. Please contact the surgery to book an appointment once you receive your notification slip from the Royal Alexandra Hospital. A baby's eight week check and the mother's post-natal examination is carried out by a doctor at the surgery at the same time as the first set of immunisations. If you have any further questions the health visitor, practice nurse or doctor will be able to advise you. We recommend vaccination against the flu infection in the autumn for those over the age of 65 and for those who have certain chronic medical conditions that put them at higher risk should they develop the flu. We also recommend vaccination against pneumococcal infection in those patients who are at higher risk of pneumococcal pneumonia. Please enquire at reception in September/early October. Everyone should be protected by being immunised against this disease. A Tetanus vaccination is usually recommended for anyone who has not been vaccinated before, has not been fully vaccinated (in the UK this means five doses of Tetanus vaccine) or is travelling to a country with limited medical facilities, and whose last dose of the Tetanus vaccine was more than 10 years ago. Please contact our practice nurses if you need clarification about whether you are fully immunised. Please see this information in our Your Health section for detailed information about the HPV vaccination programme that started in Sept 2008. 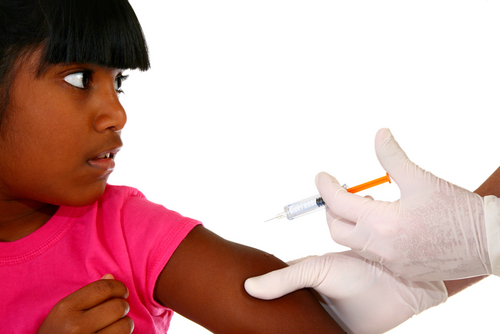 The majority of girls will be vaccinated at their secondary school. We are NOT a yellow fever vaccination centre. Please make an appointment with a Yellow Fever centre elsewhere if you need to have this vaccination. The following are employed by the Betsi Cadwaladr University Health Board but work from the practice. These offer nursing care in the community. They are available to visit you at home if appropriate and can be contacted either through the practice or at their Eirias Park office on 03000 850031. Based at Parc Eirias, this is the single point of contact 0300 4561111 for new social referrals. These are nurses/midwives who have had further training in family health care and education. They are particularly concerned with children’s health. Contact the practice or Colwyn Bay Hospital (01492 515218). The midwives run an antenatal clinic each Wednesday and Thursday afternoon at the practice. They are your link with the hospital maternity services and may be involved with delivering your baby. They visit you at home after the birth. They can be contacted at Colwyn Bay Community Hospital (01492 515218). We have the services of a team of community psychiatric nurses who are based in the Psychiatric Resource Centre on Nant-y-Glyn Road, Colwyn Bay, where they hold clinics and day care sessions. 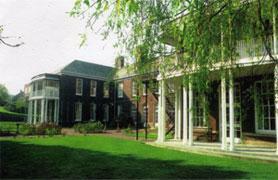 They work in the community providing assessment, counselling and treatment for nervous disorders. Contact Nant-Y-Glyn Resource Centre, Colwyn Bay (01492 532164). Please note that if you have mild to moderate mental health needs, you can also self-refer to the Parabl Talking Therapies partnership - please click here to find out how you do this. She is a nurse/counsellor who supports patients and their families who are coping with cancer terminal illnesses. She may be contacted via the practice or at Glan Clwyd Hospital (01745 445169). We have the services of a dietician employed by the Betsi Cadwaladr University Health Board practice fortnightly on Thursday mornings. She advises on all aspects of diet, from weight problems to diets for particular diseases. Appointments can be made following consultation with the doctor or practice nurse. Please click here (Welsh) or here (English) to read about the local self-referral physiotherapy service. Please complete this referral form (Welsh) or this referral form (English) if you wish to refer yourself to the physiotherapy department. We are fortunate in being able to utilise the facilities at Colwyn Bay Community Hospital. It has 42 inpatient beds that are looked after by a Care of the Elderly consultant. Your doctor may refer you to the physiotherapy department, specialist outpatients, x-ray department or phlebotomist (‘Path lab’). BCUHB have took the decision to close the Minor Injuries Unit at Colwyn Bay Hospital on the 18th of February 2013. Patients with minor injuries should now present themselves to the units detailed here . This Sexual Health clinic at Colwyn Bay Hospital can be attended without an appointment from your GP.It is held between 09:30 - 19:00 every Tuesday. The clinic provides a service for those patients who need advice on sexual health matters and contraception. Please click here to see location map. Bryn Hesketh Unit provides excellent facilities and services for our older patients who have mental health or memory problems. Please click here to see location map. Patients with minor injuries should attend one of the units detailed below between the opening hours specified. Llandudno Hospital (8:00am to 10:00pm, 7 days a week). 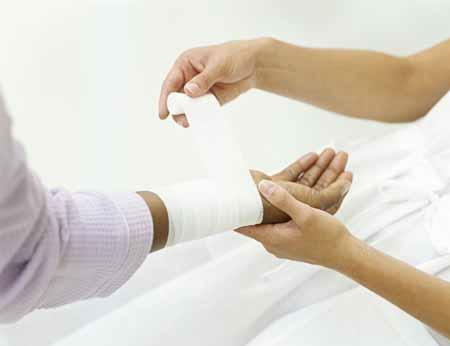 Click here to location map, and here to watch a video about the minor injury service. 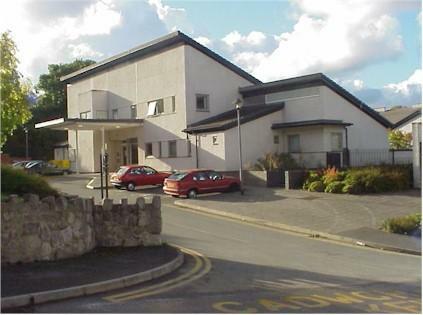 Glan Clwyd Hospital , Bodelwyddan (24 hour minor injuries and A&E service, 7 days a week). Click here to see location map. The practice is contracted to provide services to its patients under three main headings - Essential Services, Additional Services and Enhanced Services. We provide all essential and additional services. The practice is currently updating an Enhanced Services contract with Betsi Cadwaladr University Health Board (the health board that covers North Wales); for details of the Enhanced Services we provide, please ask your doctor or our Practice Manager (Mrs Shelagh Hughes). You will be referred to the specialist clinic but most of your pregnancy care will be provided by the midwives and doctors. 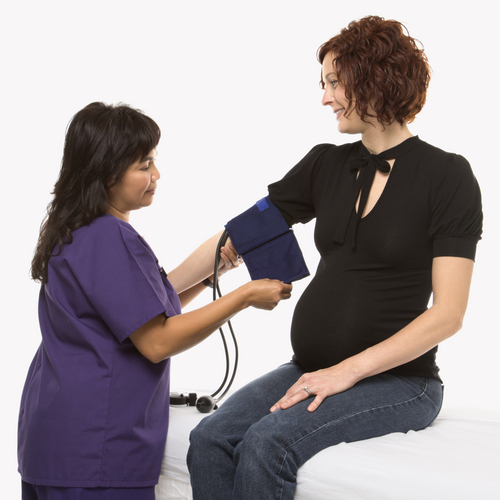 Ensure that you report to your doctor early in pregnancy. The antenatal clinic is held every Tuesday afternoon by the midwives. Please ensure that you return for your postnatal check six to eight weeks after the baby is born. Historically, Welsh guidelines recommend that you have a cervical smear test every three years from the age of 20 to 65 unless advised otherwise. From 1 September 2013, women born after 1 September 1993 will no longer be invited for smear tests until they reach 25, and women aged between 50 and 64 will be invited every five years rather than every three years (click here for further information). 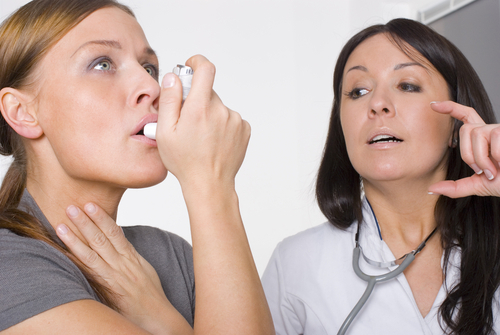 The test is done by our practice nurses in a Women's Health clinic appointment. The test can be done during surgery times by your doctor but please tell the receptionist so that time is allowed and preparations made. Please remember that you still need a cervical smear even if you have been vaccinated against HPV (Human Papilloma Virus). More information can be found on the following website - Cervical Screening Wales . Advice on contraception is available by consulting any of the doctors or nurses. Dr Emma Ratchford is qualified to fit the Mirena Device, copper coils and the Nexplanon implant. Antenatal Care; Asthma; Contraceptive Care; Dementia; Diabetes; Epilepsy; HRT; Hypertension; INR Clinic; Mental Health Clinic; Minor Surgery; Vascular Disease (encompassing Ischaemic Heart Disease, Peripheral Arterial Disease & Stroke); Women’s Health. This clinic can be attended without an appointment from your GP.It is held at Colwyn Bay Hospital, 09:30 - 19:00 every Tuesday. The clinic provides a service for those patients who need advice on sexual health matters and contraception. As well as regular breast self-examination, all women aged 50-65years can have this X-ray test every three years. You should receive an appointment from Breast Test Wales (contactable on 01492 860888) appropriate intervals. Bowel cancer is the third most common cancer in Wales. However, if it is picked up early, it is also one of the most treatable. Bowel Screening Wales will send a testing kit to patients aged 60-74. Please visit www.screeningforlife.wales.nhs.uk . An AAA is a swelling of the aorta. This is the main blood vessel that supplies blood to the body. There is a risk that an AAA may split or rupture. Finding an aneurysm early gives a patient the best chance of treatment and survival. Men aged 65 are invited for a one-off ultrasound screening test.